2019 is the year of a great birthday, the 75th Anniversary of the D-Day landings in Normandy. This event promises to be rich in animations and emotions. Indeed, in June 2019, all Normandy will be mobilized. As every year but with an intensity worthy of the event, Sainte-Mère-Eglise will be the must-see place to celebrate the regain freedom. 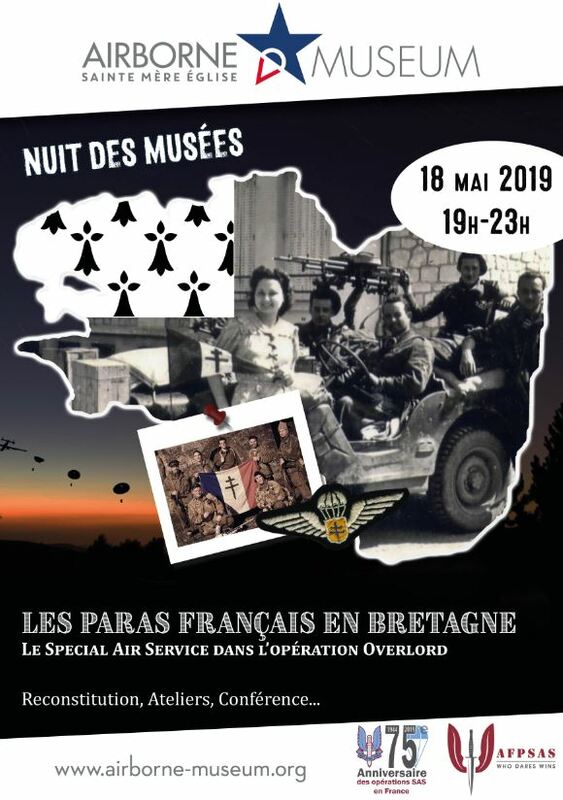 Below you will find the pre-program of festivities established in collaboration with the city of Sainte-Mère-Eglise and the Airborne Museum. 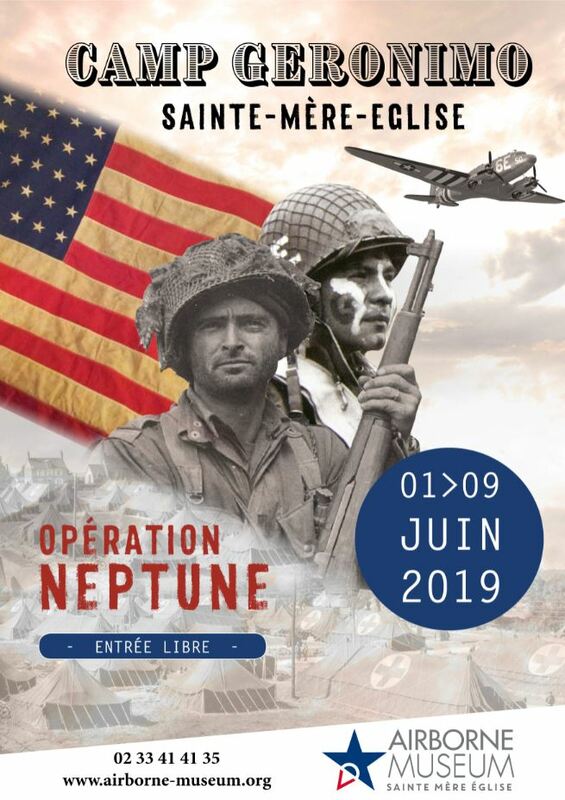 This calendar will be expanded this next weeks but you will already find the highlights of this anniversary of the D-Day as well as information about the traffic in Sainte-Mère-Eglise during the festivities. May 18 from 7pm to 11pm: Night at the Airborne Museum (as part of the European Museum Night), reduced rates for all. The French SAS (Special Air Service) in Brittany during the Overlord operation: reenactment, fun and participative presentation. Saturday 1st to Sunday 9th June: Camp”Geronimo”. reconstruction of a military camp. It featuring the American airborne troops in Normandy. Presence of 9 tanks. Comments around a “sand table”: relief model on which the officers establish their military strategy. Sunday, June 2nd, between 9:30 am and 11 am and from 4:30 pm to 6 pm : Presentation of more than 60 military Harley Davidson dating from the 1940s (WLA, WLC). 5pm: Inauguration of the C-47 42-100876 aircraft memory panel. This plane crashed on June 6, 1944, rue de Richedoux (at Hôtel Le Sainte-Mère). 10 am: English conference by Philippe Esvelin “Gliders of the Americans of the D-Day”. Airborne Museum, included in the entrance fee. 15 pm: French conference by Philippe Esvelin “Gliders of the Americans of the D-Day”. Airborne Museum, included in the entrance fee. 15 pm: French conference by Eric Belloc “US paratroopers”. Airborne Museum, included in the entrance fee. All day: Screening of the film “The girl who wore freedom” all day long at the Airborne museum. The film team will be present in the afternoon. Closing around the church square from the 5th to the 10th of June morning. Car parks will be created especially in Sainte-Mère-Eglise a few steps from the entertainment venues.